The Sports Car Driving Association (SCDA) has always been proud to provide its customers a safe and controlled environment to learn and experience high performance driving. Founded in 1995, SCDA has seen drivers of all skill levels turn laps at its events through the years. Now, it welcomes the Global Mazda MX-5 Cup car to its fleet of rentals. First time performance drivers, national champions, professional race and championship winners have all attended SCDA events. Many success stories have started with SCDA as the venue for first ever laps on a race track. In partnership with Mazda Motorsports, the SCDA is now offering a Global MX-5 Cup car for rent at its events through ROSMAR Racing for 2019. 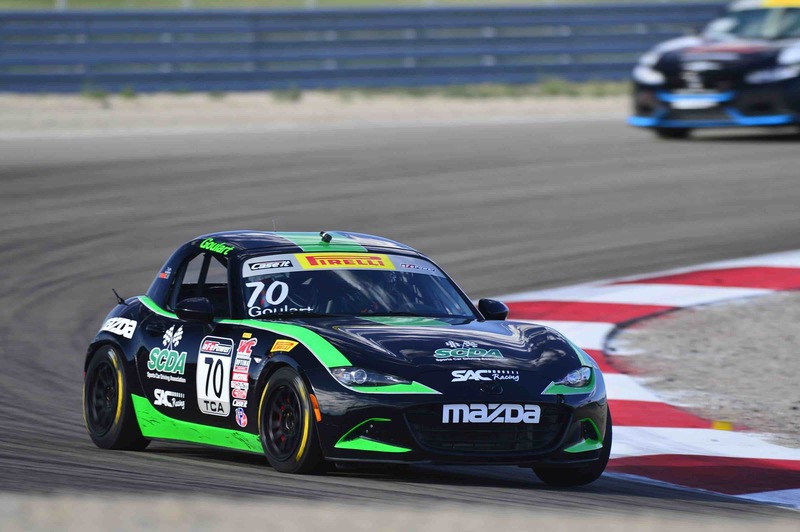 The Global MX-5 Cup car is a spec car that was developed by Mazda to be raced in the Battery Tender® Global Mazda MX-5 Cup presented by BFGoodrich Tires, TC America TCA, SCCA and NASA club racing, American Endurance Racing, and others. ROSMAR Racing is led by Mark Gregory, a familiar face in the SCDA paddock. Gregory is both a championship winning driver and crew chief with a long history of building and racing Mazda RX-7s and Miatas. A presence at SCDA events since its inception, current customers will likely know his fleet of always busy, well-prepared Spec Miata rental cars that are event mainstays. SCDA President Elivan Goulart has a long championship winning history with Mazda Motorsports. Goulart won the 2004 Formula SCCA Pro Series, 2011 Spec Miata Runoffs and 2016 World Challenge TCA Championships in Mazdas. In 2017, Goulart won races in World Challenge (now known at TC America) TCA driving a Global MX-5 Cup car. Gregory shared his enthusiasm for adding the new car to the fleet and its benefits to ROSMAR Racing and SCDA customers. “Building a reliable and safe car for the track today is equal parts restoration and preparation. The Global MX-5 Cup car is a new car with the latest technology and racing safety equipment. Drivers who may want to take the wheel of the Global MX-5 Cup car during an SCDA event should contact Elivan Goulart through www.SCDA1.com or Mark Gregory through www.rosmarracing.com. The 2019 SCDA schedule resumes Saturday, March 30 at Lime Rock Park. ROSMAR Racing will have the Global MX-5 Cup car prepped and ready for action at all 2019 SCDA events. Founded in 1995, Sports Car Driving Association provides the driving enthusiast the opportunity to experience high performance driving in a safe and controlled environment. SCDA events are strictly driver education events and are non-competitive. SCDA welcomes everyone, novices with no track experience, seasoned on-track drivers and racers. Explore www.SCDA1.com to learn more and view the schedule of events at some of the best tracks on the East Coast.